This is our first post written by Bex, one of our wonderful Banbury based therapists. 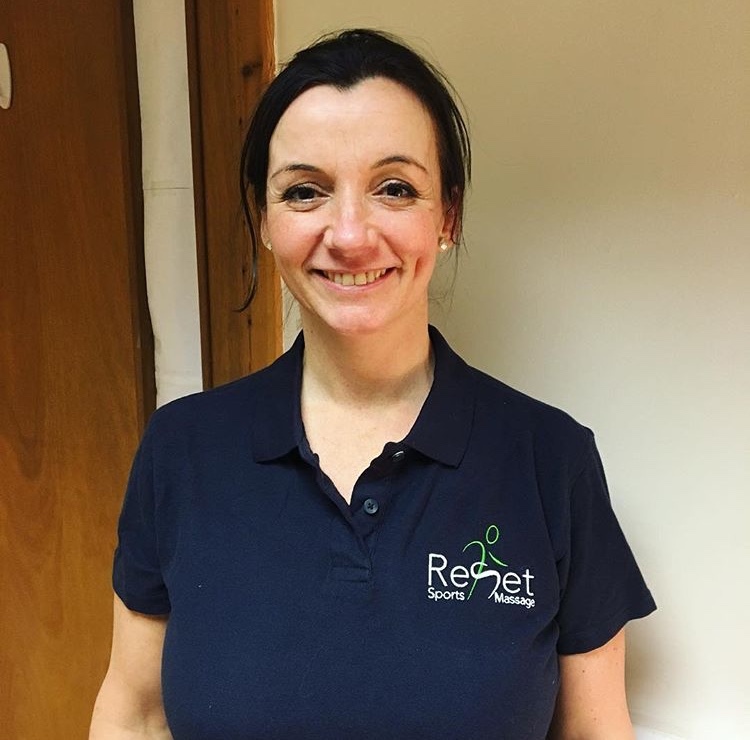 Bex pursued a career in soft tissue therapy after experiencing low back pain. In this post Bex shares how her injury came about, and her path to recovery. The fitness journey can be many things; tenacity, hard work, developing skills, honing and enjoying a wonderful body. If you have walked that road for a while, you will have come across aches and pains, overuse injuries and recurring problems that seem to come on just as you are starting to get to grips with your goal. Many people will battle on, putting up with more and more until their body fights back demanding rest and repair. When I was young I was very stretchy, I would sit for hours in difficult positions to see how far I could go. One day I hurt my lower back/pelvis quite badly, and although I was young and fit it took months to recover and be painfree. The Doctor was unable to tell me what I had done. Over time I became aware that it would never be quite the same again. I kept feeling the same recurring pain. A few hours of gardening, or a solid days strenuous activity would set it off. However, the pain was manageable so I felt no need and nor did I have the knowledge to do anything about it. I maintained an active lifestyle, running and going to the gym. At the time I was studying martial arts which ensured that both sides were trained. But I’d spent a few seasons rowing a long boat on the same side. My body that had learnt and reinforced an asymmetric pattern of strength and I believe the asymmetry was already well established. Later, after having my children, I started to suffer more severely with back pain. Childbirth and caring for children comes with a host of physical stresses and strains!I experienced the episodes that many of you will recognise – debilitating and limiting spasms that would leave me doubled over and struggling to do the most basic activities. So I sought the help of a Physiotherapist who also taught Pilates. I learnt that the pain I feel in my back originates from my sacroiliac joint (SIJ). The SIJ is the joint between a lower part of the spine (sacrum) and the wings of the pelvis (ilium). My pain was the result of a twist in my pelvis and one leg that appears longer than the other (very common by the way). I learned a few exercises to build the strength in the muscles around my pelvis. This makes my pelvis stronger and more stable, and allows the joint to be held in the correct position. While learning these exercises I also developed an awareness of the subleties of muscle contraction. I began to understand the nature of one or a number of muscles compensating for weaker ones. I learn’t about my own posture and the effect it has on my whole body – including how well I breathe! I have realised that over time I have learnt so much from injuries, it is natural to feel frustrated and dissappointed at the time of injury. 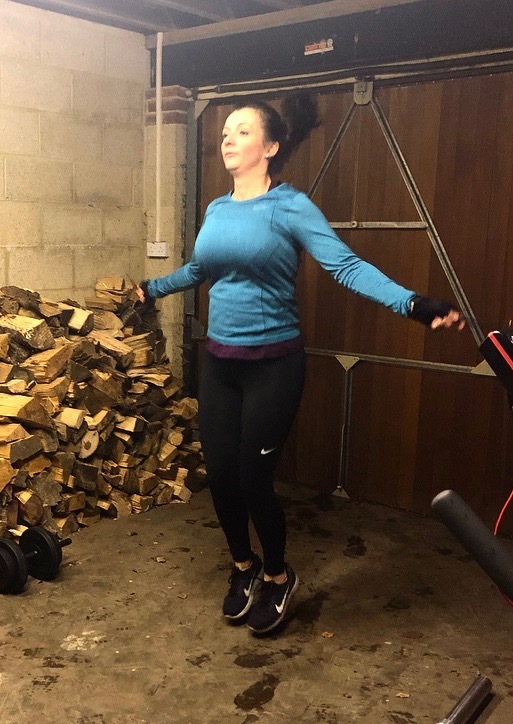 But the knowledge you gain from the self care and rehab helps balance it out and often you come back stronger and better prepared to meet realistic goals – the sense of achievement is that much greater and well earned. I have since added strength excercises into my training, with a strong focus on correct form and range of motion. This has helped to give me confidence and boldness after along time being cautious not to over do it or risk hurting myself. And so began my journey. My back pain journey runs alongside my fitness, endurance and strength goals. My rehab influences how I warm up, the exercises I must do before I start out, the stretches I choose when I am warm and the remedial exercises I do in between or instead of training sessions. I know that I can’t do one without the other, I relish the quiet pilates type work as an opportunity for mindfullness, and I celebrate my stability with the strength work. If you have recurring problems it is sensible to get help and start to learn about your body. It is realistic that you will probably always need to focus in a certain way on parts of your body that need more detailed work. Your soft tissue therapist can help you to identify these areas. We can help you to become an expert on your own body and the way it moves. Seek therapists who listen to you and respect what you are trying to achieve as well as giving you the tools you need to help yourself. To book an appointment with Bex, please visit our booking page and choose Banbury.